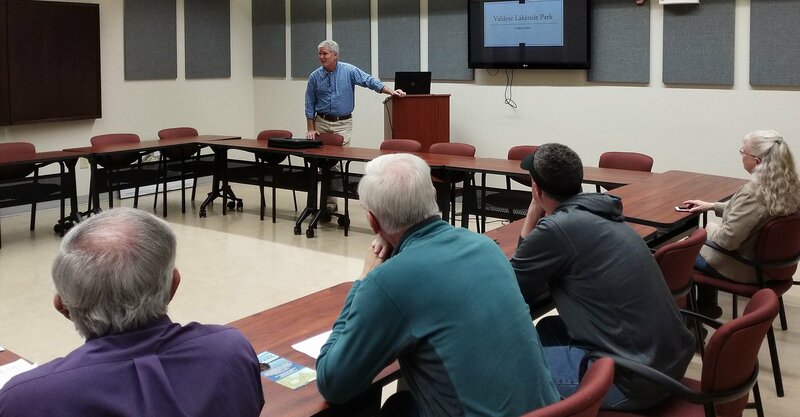 Parks and Recreation Director Doug Knight spoke to the public on March 13 about Valdese Lakeside Park and what the PARTF grant would include. The grant application, due on May 1 and being completed by WPCOG, will request funds for restrooms, picnic area, dog park, wildlife viewing platform, kayak launch, walking trail to viewing platform, parking, entry road for around $300K. 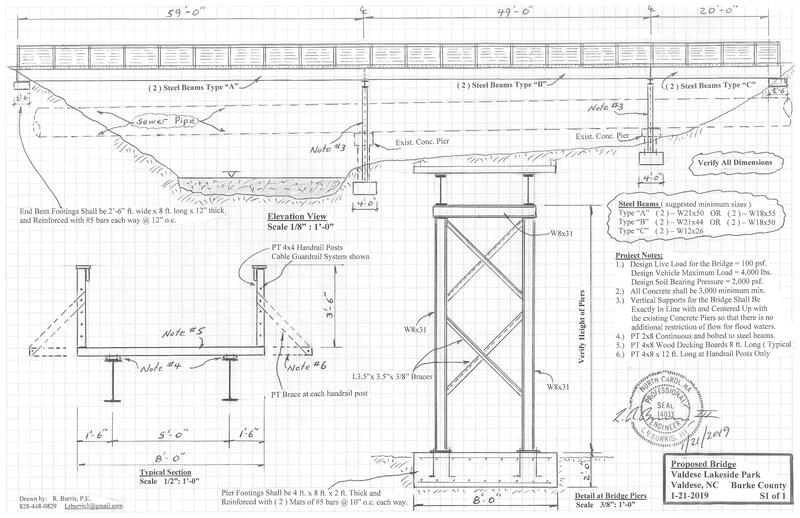 These are items in the Master Park Plan. This grant is for a 10-foot-wide crushed cinder greenway along the lake and creek, permeable parking area and responsible storm water drainage. The application was filed on December 31, 2018. Award will be late April/early May. This grant is to help pay for a 200-foot bridge across McGalliard Creek to complete the trail from McGalliard Falls Park to Valdese Lakeside Park – creating a 2-mile greenway connecting the parks. Total cost of the bridge is $250K. Application filed March 1, 2019. Award will be Oct/Nov. This grant will fund Phase 1 Amenities at Valdese Lakeside Park such as restrooms, picnic area, educational overlook. Application will be filed by May 1, 2019. Award will be Aug/Sept. Donations are still being accepted. The more we have, the more we can build. This entry was posted in Uncategorized on March 13, 2019 by Beth Heile. Connect VLP to South Mountains State Park?